Click to see larger photos. The Funk Cemetery (aka Bybee Farm Cemetery, Yankee Hollow Cemetery) is located in Section 9, Township 75, Range 19 of Marion County, Iowa. 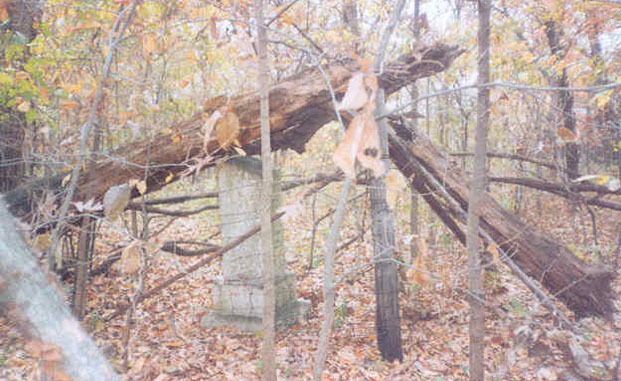 The cemetery is land-locked, is in a dense timber and very hard to find. I first went to this cemetery to find the grave of my ancestor William M. Hart. The photos above (left) show my grandfather's stone with a large tree resting on it. My husband Ronald and I restored the cemetery, and later had a plat made. 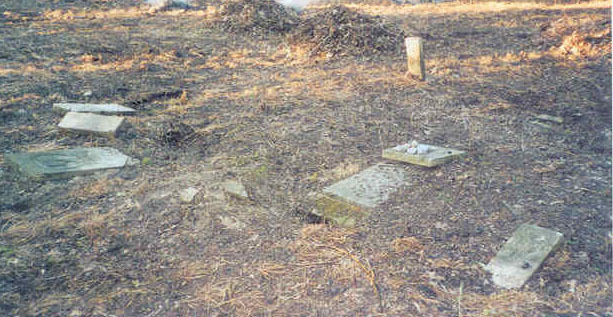 We recorded all the graves we could find and re-set the stones. The information below is what we got from the stones and some extra research. Most of the graves are those of the Funk family. 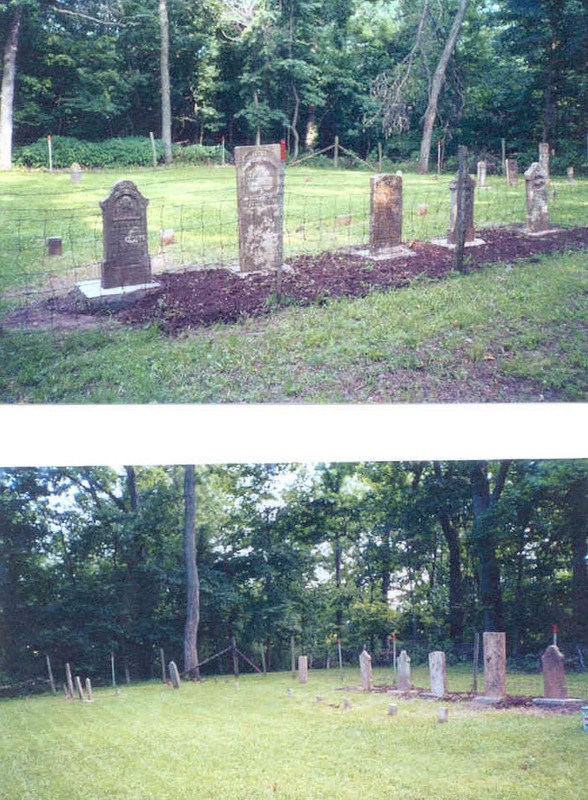 For the past 6 years, the cemetery has been mowed and maintained (photos above right). Funk Albert B 20 Mar 1864 31 Aug 1884 3 1 20y,5m,11d.